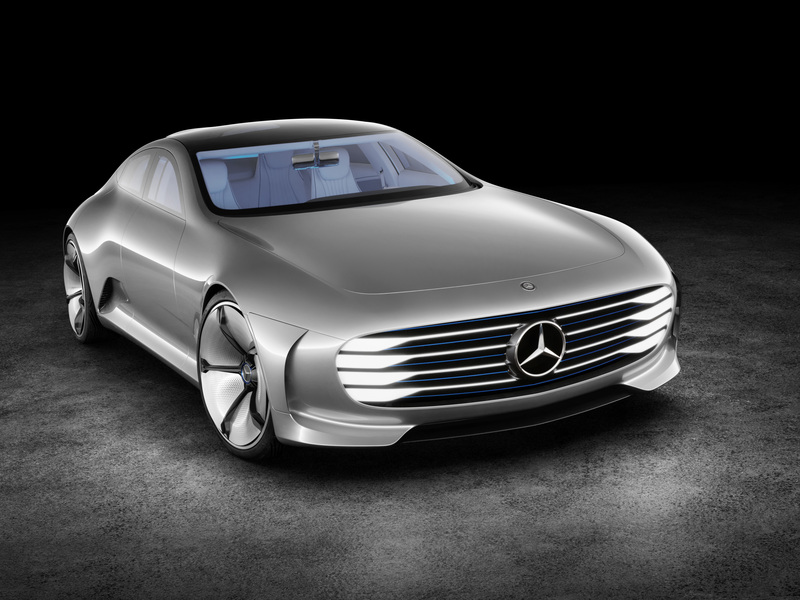 The Mercedes-Benz “Concept IAA” (Intelligent Aerodynamic Automobile) is two cars in one: an aerodynamics world champion with a Cd value of 0.19 and a four-door coupé embodying irresistible design. The study, which is celebrating its world premiere at the Frankfurt International Motor Show, switches automatically from design mode to aerodynamic mode when the vehicle reaches a speed of 80 km/h, whereby numerous aerodynamics measures alter the shape of the vehicle. 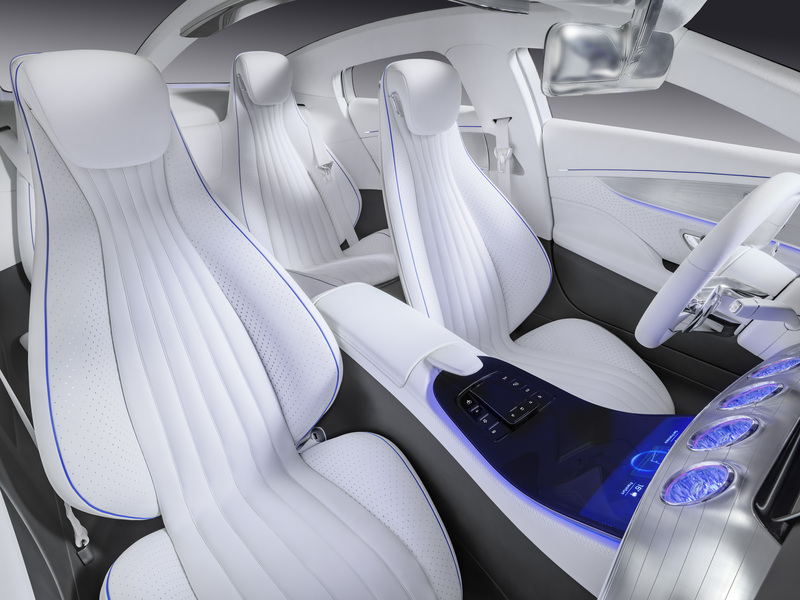 Inside, the “Concept IAA” continues the design line of the S-Class and S-Class Coupé, offers new touch-based functions and provides an idea of what the interior of a business saloon might look like in the near future. At the touch of a button, or automatically on reaching a speed of 80 km/h, the Concept IAA performs a fascinating transformation in which the four-door coupé turns into an aerodynamics world champion: eight segments extend at the rear, increasing its length by up to 390 millimetres; front flaps in the front bumper extend by 25 mm to the front and 20 mm to the rear, improving the air flow around the front end and the front wheel arches; the Active Rims alter their cupping from 55 mm to zero; and the louvre in the front bumper moves 60 mm to the rear, improving the underbody air flow. Equally, the Concept IAA exemplifies the fundamental technological changes which are taking place in the automobile industry. The primary driving force behind this process of change is digitisation – commonly referred to in a business context as “Industry 4.0”. For Mercedes-Benz, a continuous digital process chain from research and development through production to marketing and sales, logistics and the service area is already becoming reality. 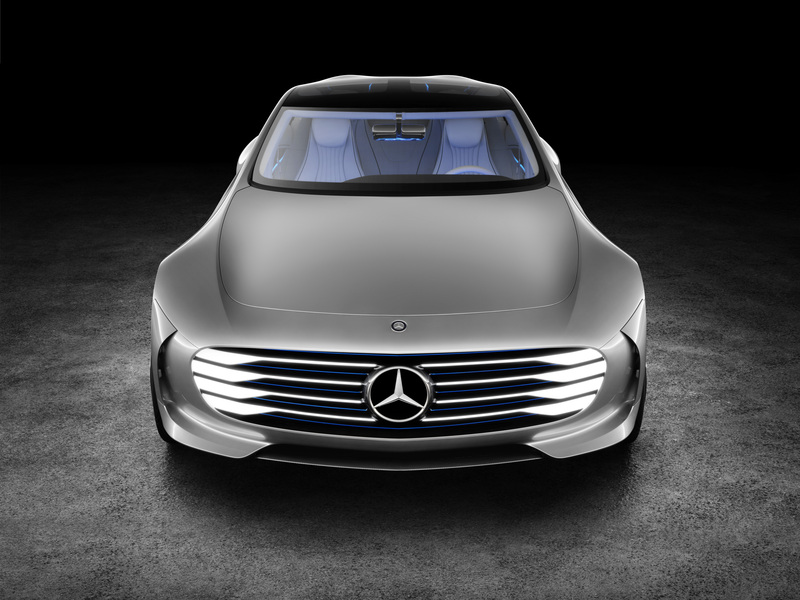 The design and aerodynamic shaping of the Concept IAA would not have been possible without the systematic digital networking of different specialist departments. The designers have employed the latest algorithmic design methods to handle the complex geometric design. The individually adapted software enables dynamic design in three-dimensional space. This dynamic modelling makes it possible to display and model different states simultaneously. The resulting highly complex geometries were turned into reality with the aid of innovative production technologies (rapid prototyping). The aerodynamics was developed in parallel with the aid of numeric flow simulation. 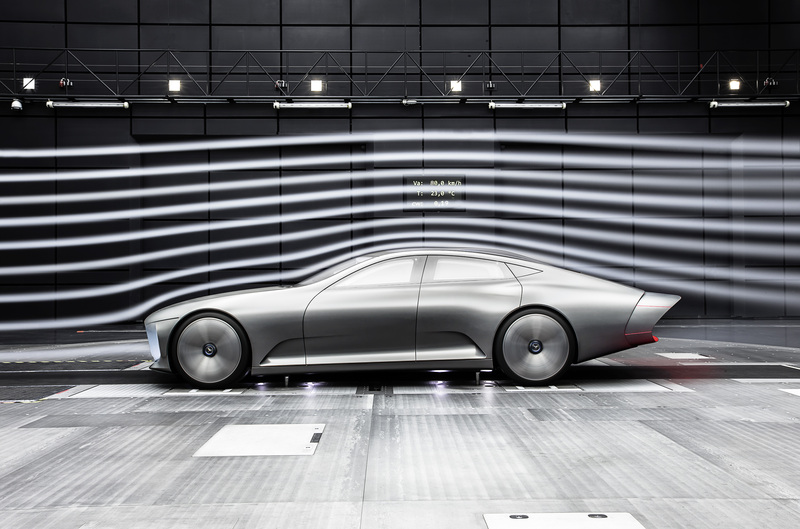 In around one million CPU hours, the aerodynamics experts from Mercedes-Benz simulated the flow characteristics, calculating some 300 variants. This roughly corresponds to the scope of work involved in developing a production model. The Concept IAA also offers a look into the future in areas which are not apparent at first glance. The study features Car-to-X technology, for example, which enables the study to communicate with other vehicles or other sources of information. This represents a major advance in helping to avoid accidents, as obstacles or events which are not visible to the vehicle itself can be detected – the Concept IAA is able to look around the corner, as it were. With this and its interior and operating concept, the Concept IAA also offers a foretaste of the business saloon of the near future.